Jordan Brand and Nike aren’t shy when it comes to basing colorways of new shoes off of old commercials and ad campaigns. The “Have A Nike Day” Air Max pack is probably the best example of this. Recently though, it’s been Jordan Brand’s turn to go back into the commercial vault to inspire a new colorway. 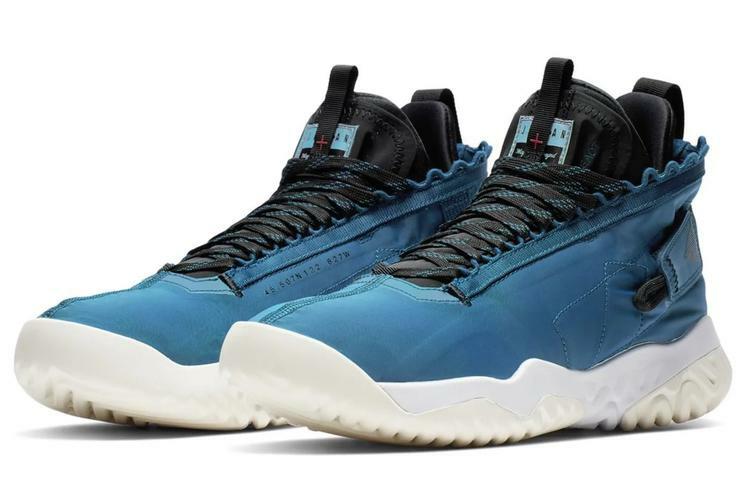 The brand has been slowly releasing their new silhouette, the Jordan Proto-React to the world so it’s only natural that they would want to have a colorway with a story behind it. Thanks to some new pictures from US_11, it appears as though this latest version of the Jordan Proto-React will be based on the “Maybe I Destroyed the Game” commercial with Michael Jordan. With the shoe’s signature white and cream midsole, the upper is comprised of a gorgeous shade of blue that really makes these sneakers pop. “Maybe I Destroyed The Game” is written on the tongue which is dressed in a contrasting black. This shoe will prove to be comfortable as react material can be found in the midsole.